OK, not all Americans but as you probably know, this week is Thanksgiving then Black Friday and Cyber Monday. Until a few years ago, I had never heard of Black Friday and Cyber Monday is a pretty new thing in itself. Anyway, this means that a lot of places have sales on over the weekend and I have just had an email through to say that all the Crafsty Classes are being offered at $19.99 or less. Whoo-hooo. When I was asked to review one of their classes I had a really tough time choosing, I think I might go and pick up another one as an early birthday present to me! If you missed my review, I posted about it HERE. 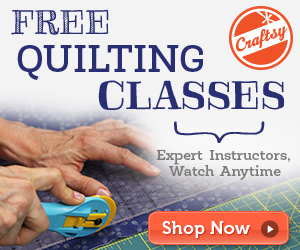 So from the 23rd - 26th you can get a Craftsy class at a discount. The classes would make a great gift too, especially for people who 'dabble' and need help taking their hobby to the next level. If you do sign up for a class, let me know, we might even end up in the same one! That'd not all folks... you know I am a Blurb fan, well you can get yourself a 25% discount using the code HOLIDAYTHANKS over the holiday weekend, great time to get some photo books made for Christmas presents. If you are short of time, use the Blurb bookify software and it basically does it all for you.